My name is Nicola Losito and I am an Italian comics + science fiction + motorcycles fan and a computer geek, born in mid. ’70s. I am a tech enthusiast and an early adopter of many social networks. On-line since 1996, I got this ‘kOoLiNuS’ nickname when in 1999 and started blogging in Italian in February 2003. Two years later I’ve started this very /home/kOoLiNuS blog. Currently I work as a technical assistant and IT representative in Bari’s unit of C.N.R.’s Institute of Biomedical Technologies, one of the very first Bioinformatics groups in Italy. In the past I’ve done some teaching, ICT & WordPress consultancy job. Even if I’m “a Mac person” I’m deeply in love with Free / Libre Open Source software. Currently I’m involved with the italian WordPress community ad a translator and – since 2016 – as the co-organizer of the WordPress Bari meetup and the Puglia WooCommerce meetup groups. 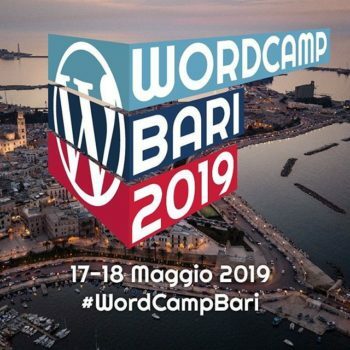 It was a pleasure to organize a WordCamp in 2018, so this May we’re having the 2019’s WordCamp Bari ! If my skills are what you need for your project, let’s get in touch!